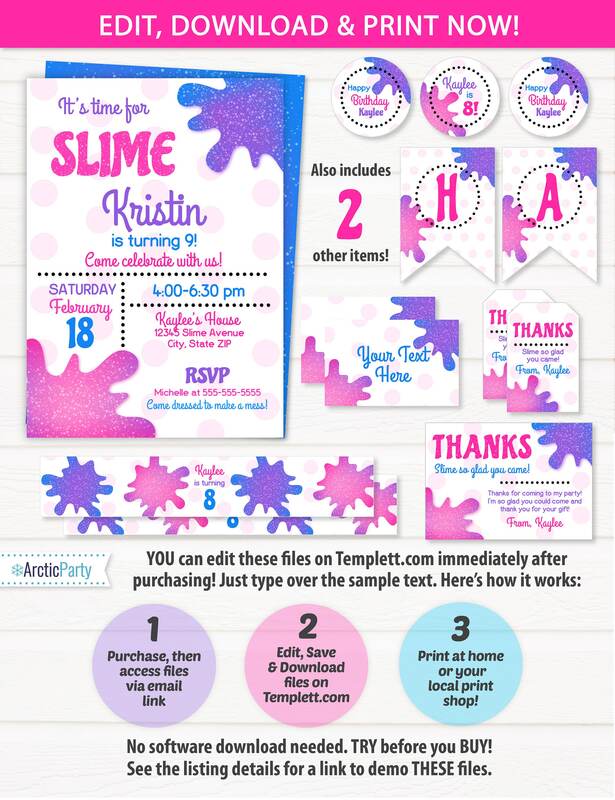 Slime Party Invitations Template plus party pack! No waiting! Edit NOW from home using Templett.com. 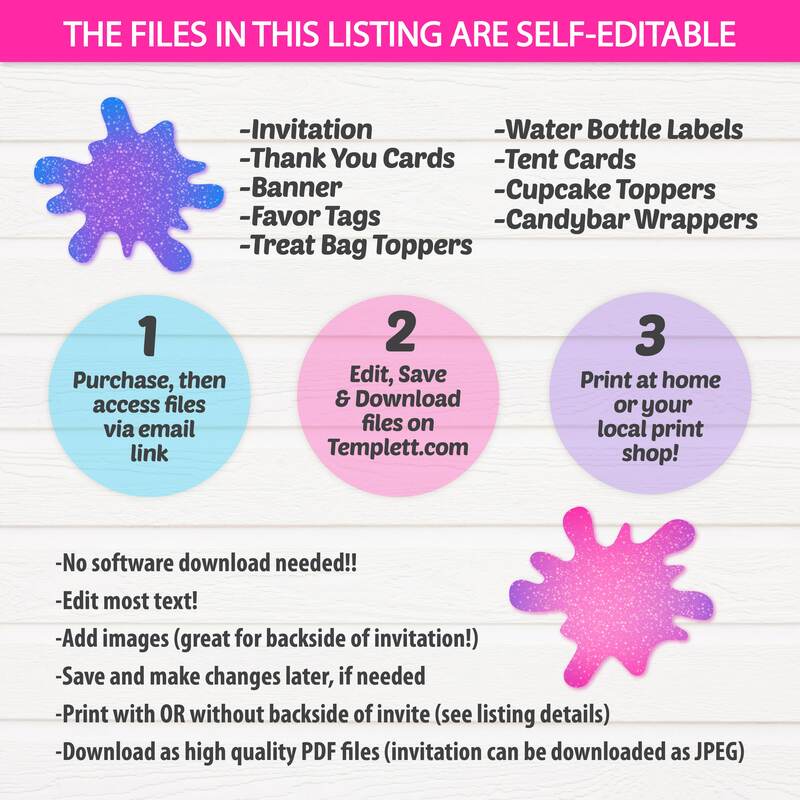 Edit your invitations with Templett.com right after purchasing. 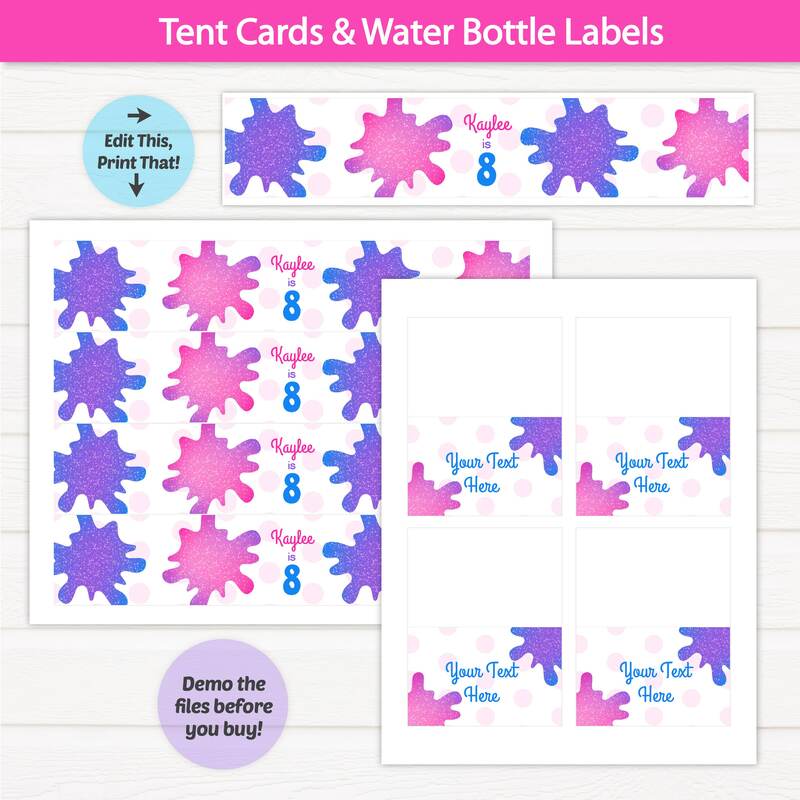 -Water Bottle Labels ► Edit 1 wrapper, then download with 4 per page - instructions included. -Favor Tags ► Edit 1 tag, then download with 9 per page - instructions included. 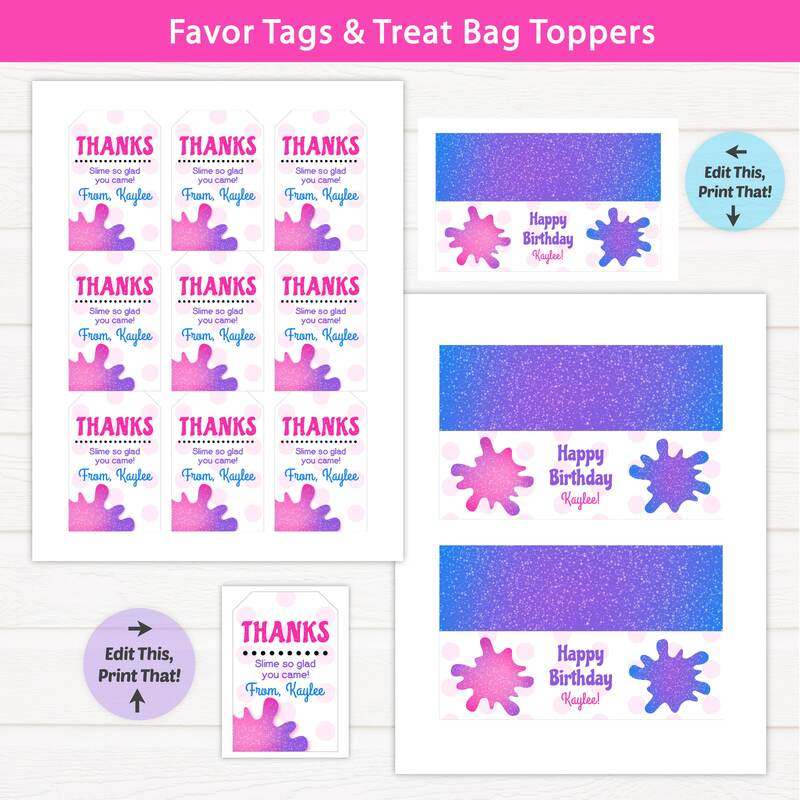 -Treat Bag Toppers ► Edit 1 topper, then download with 2 per page - instructions included. 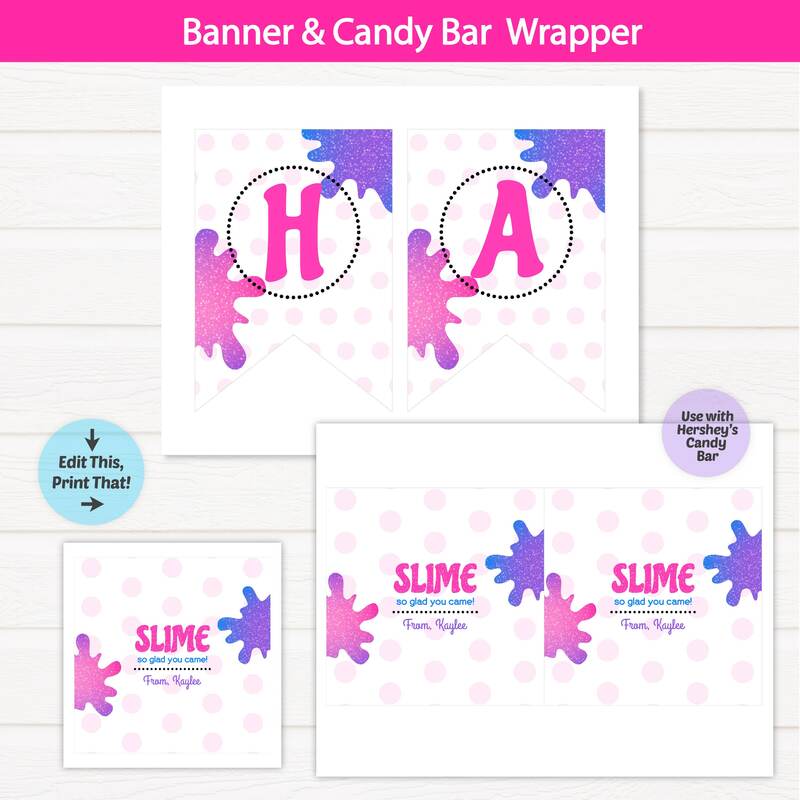 -Candy Bar Wrappers ► Edit 1 wrapper, then download with 2 per page - instructions included. 1. After purchasing the listing, you will receive a link shortly in your email to access your files (look for "Templett Orders"). Invitations are 5x7 and can be printed as a photo at a photo lab, like Walmart, Walgreens, Costco, etc. (save as a JPEG). 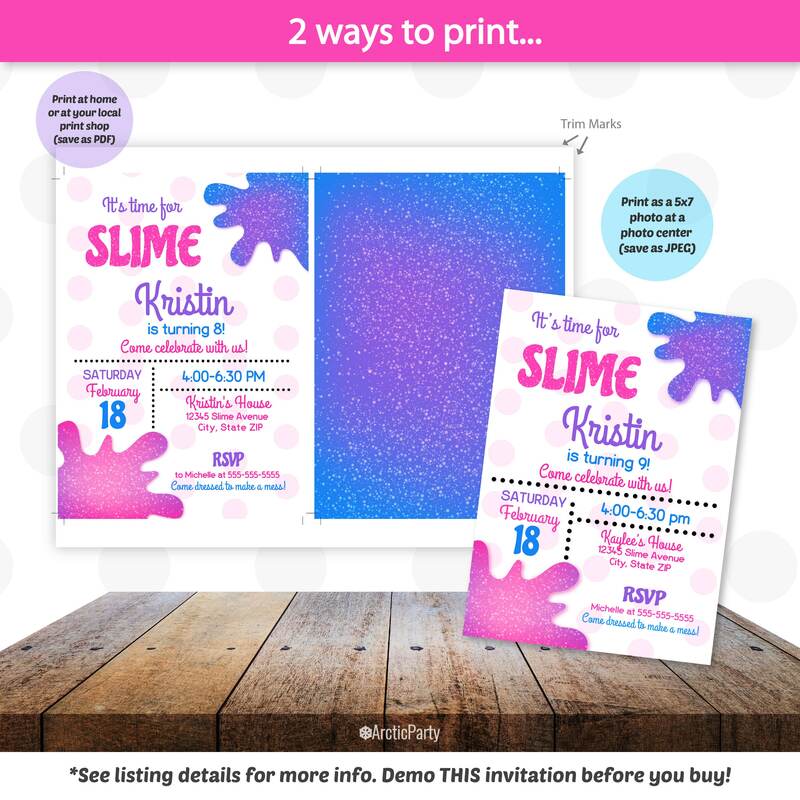 Your invitations can also be printed onto 8.5x11 white card stock or matte photo paper from home or a print shop, like Staples, Office Depot or FedexOffice (save as a PDF). 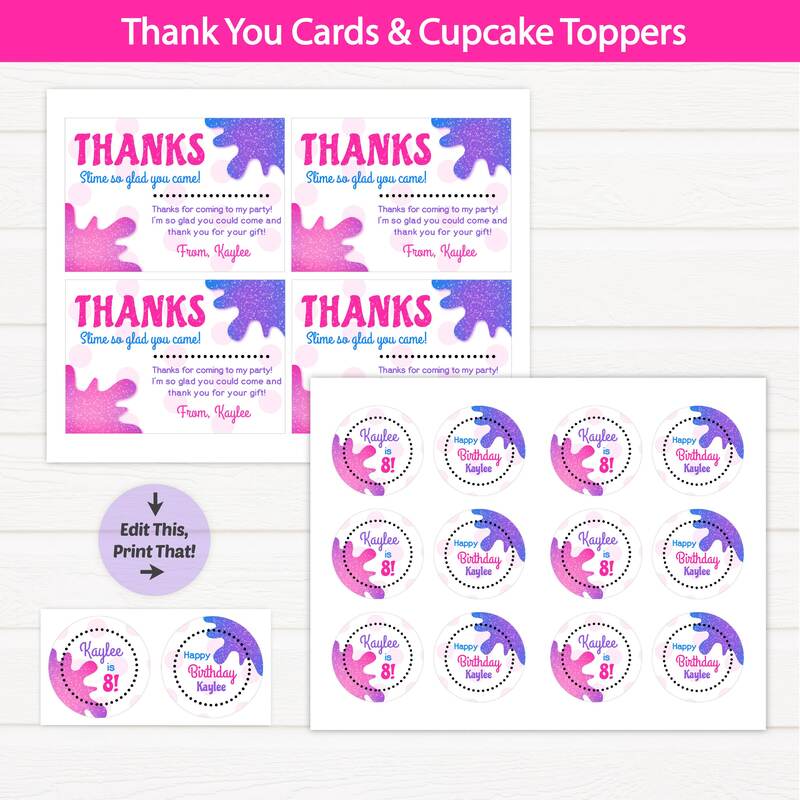 Other printables need to be printed onto standard-sized paper (8.5x11) - see included party pack instructions for more details. Please note that you are not able to edit these files on an iPad, iPhone or any other handheld device.